Is the User Experience the future, and the TV factory the past? | What Hi-Fi? Is the User Experience the future, and the TV factory the past? Just about three months ago I wrote a blog post about the fears being expressed that 'Made in Japan' was proving unsustainably expensive. Some of the biggest names in consumer electronics would, I suggested, have to follow Apple's path, and stop making things. After all, for all its sales success and massive revenues, Apple doesn't actually manufacture anything very much itself. It invents, it designs, it sues, it injects – but it leaves all the messy stuff of actually making its products to third-party companies. (As an aside, just how messy that stuff can get has been highlighted by some recent coverage of at least one company making products for Apple – although of course the same manufacturing facilities also produce for Dell, Sony, and many more well-known names). But back to the plot, and the prospect of Japanese consumer electronics companies facing a 'fabless' future, with production increasingly outsourced, is lurching ever closer with a string of disastrous financial results and forecasts from some of the best-known brands. Panasonic is set to lose a record Y780bn in the current financial year, Sony Y220bn and Sharp Y290bn – that's a nifty ten billion quid or so of losses just from those three, and they are far from alone. What's more, there's not much sign of light at the end of the tunnel, for all the brave words about putting in place strategies for turnaround. Meanwhile Hitachi's Takashi Miyoshi said that TVs were essential for the brand's visibility, but that it 'will continue the operations only as long as we do not suffer any losses'. And incoming Sony president Kazuo Hirai, interviewed in The Wall Street Journal last month, said that 'I thought turning around the PlayStation business was going to be the toughest challenge of my career, but I guess not. TV prices are on the floor both in Japan market and in export markets, and the emerging leaders of the TV industry come not from Japan, but China, Taiwan and South Korea. Samsung has announced a deal with glass company Corning to boost its ability to make OLED panels, and Taiwanese panel company has signed a deal with Japanese chemical company Idemitsu with a similar aim. If the Japanese consumer electronics companies don't get a shift on, they may find the OLED world leaving them behind. But there's a bigger problem, with analysts now wondering whether the likes of Panasonic and Sony have backed the wrong horses in the struggle for survival. Increasingly, and despite protestations from the big names, some are suggesting the Japanese companies should not just be out of the TV business, but also moving on from most of the other areas in which they have had past successes. Stephen Harner, a highly experienced watcher of Japan's business, says in his Forbes blog that 'A few posts ago I wrote that “winning” in global auto industry competition is a “must” for Japan’s auto makers. But can Japan afford for its legendary electronics companies to lose? Alarmingly, this unthinkable thought is becoming thinkable. Going the way of Kodak? And it reports that Hirai's new central product planning initiative started last summer with the establishment of Integrated UX (for user experience), which sits above divisional product planning managers, and decides what the company as whole will make. In the past, separate divisions made their own products, and at one point it was discovered four divisions were apparently working separately on tablet devices to challenge the iPad. Hirai's view is simple: 'We're going to tell you what you are going to make—not the other way around'. In other words, concentrate on creating that 'user experience'. Some years ago, I sat in a presentation given in Japan by a very senior Sony executive, in which he spoke of the company's dream of a totally connected product strategy. 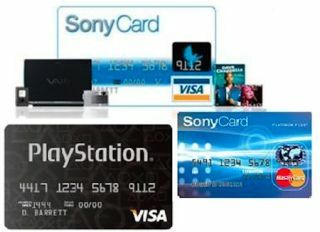 Consumers would be enjoying Sony music and movie content, bought online over an internet service provided by Sony and paid for using a Sony credit card or 'electronic money' device, and then played back on their Sony TV. At the time, the infrastructure for all that was just about in place in Japan; now, it seems, there's a real need for it to happen everywhere.